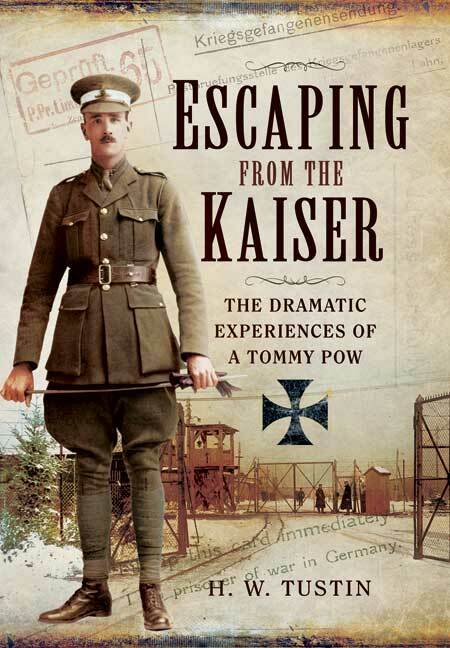 You'll be £19.99 closer to your next £10.00 credit when you purchase Escaping from the Kaiser. What's this? Order within the next 36 minutes to get your order processed the next working day! Other formats available - Buy the Hardback and get the eBook for £1.99! Only a week after joining the 8th Durhams in April 1915 Private Herbert Tustin was captured at the Battle of Ypres. He describes the horror of trench warfare, his treatment on being taken a POW and the three day train journey into Germany. There followed 16 months captivity at Rennbahn POW Camp with its hunger, hardships, brutality, work regime, friendships, humour and the different national characteristics of fellow POWs. In late summer 1916 together with a Canadian POW, Gerrie Burk, the author escaped over the wire. For the next 10 days travelling by night, sleeping rough and stealing basic food they headed for Holland. Somehow they miraculously managed to avoid re-capture despite the closest of calls. Once on the Dutch coast they found a boat, SS Grenadier to carry them across the mine-strewn, submarine infested North Sea to England, arriving on 18 September. This amazing story of war, imprisonment, escape and survival concludes with the author's wife recalling the hero's welcome home, the joyful reunion and his proposal of marriage. This book is well written and an excellent read. There are many fascinating photographs from the camp, including a splendid one of the General arriving in his carriage.